Summary: Download of 28 bilateral coordination exercise sheets including QR codes with links to video demonstration of exercises. 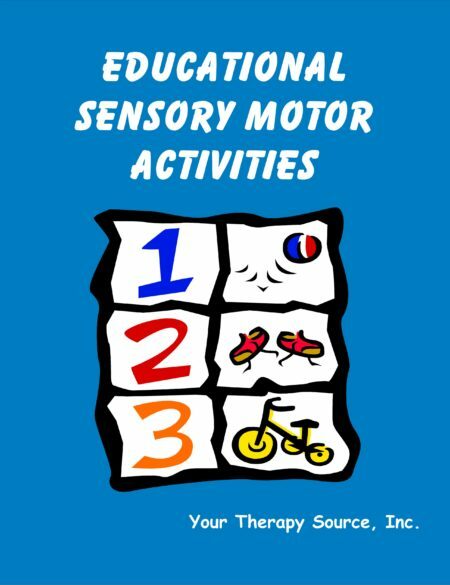 Also includes hand out explaining bilateral coordination. Summary: 25+ Bilateral Coordination Exercises is a collection of bilateral coordination exercise sheets including QR codes with links to video demonstration of exercises. 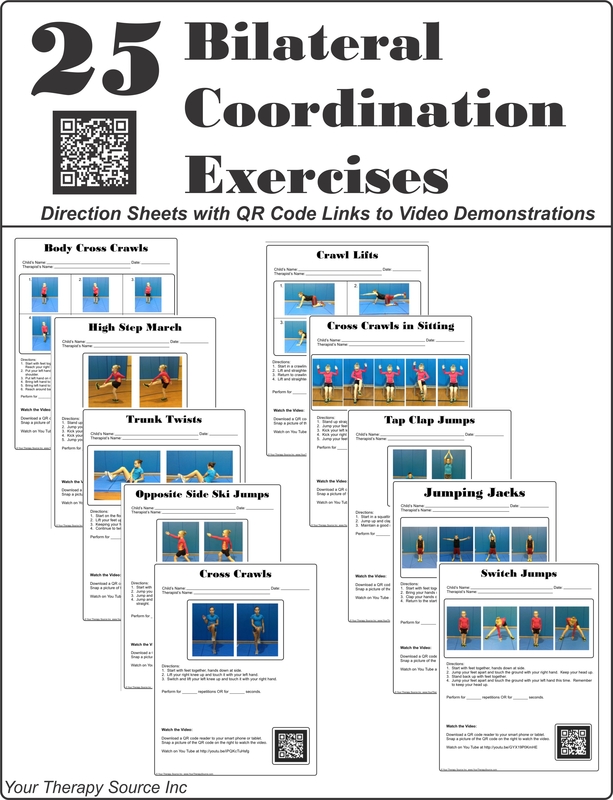 A QR code is a black and white image with squares, that stores website links for reading by the camera on a smartphone.Each exercise page includes picture images and step by step directions of a whole body bilateral coordination exercise. Also included, is a link to a You Tube video with a demonstration of the exercise along with a slow motion video of the exercise. Parents, students or teachers can simply use a QR code reader app on their smart phone or tablet to go directly to the video demonstration. 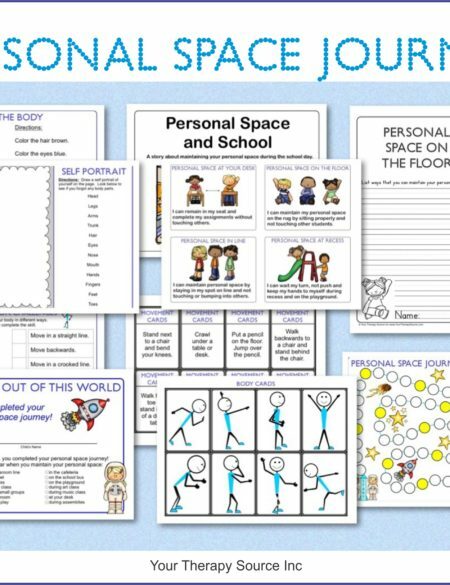 This exercise packet allow therapist to send home therapeutic exercise ideas including video demonstration. 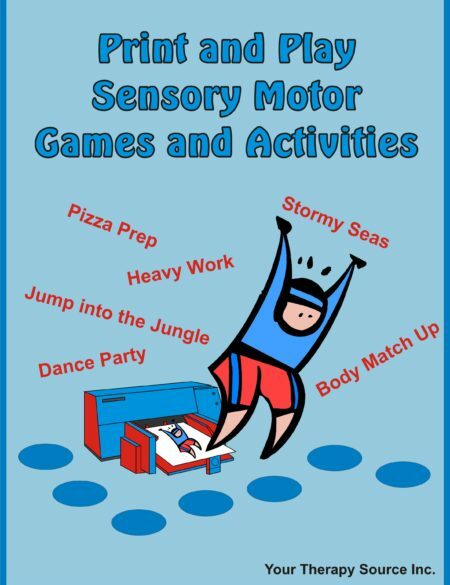 There is also a hand out to give to parents explaining bilateral coordination skills and how to use the QR codes. None of the exercises require any equipment.